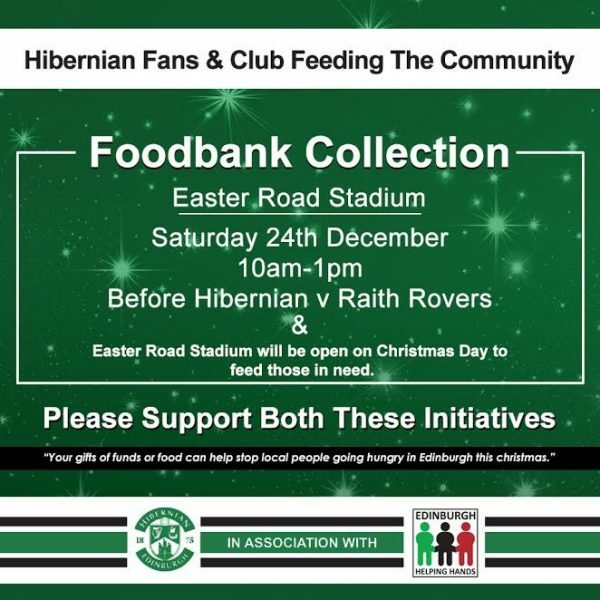 A foodbank collection will take place at Easter Road stadium again this year before kick-off to help families in Edinburgh this Christmas. 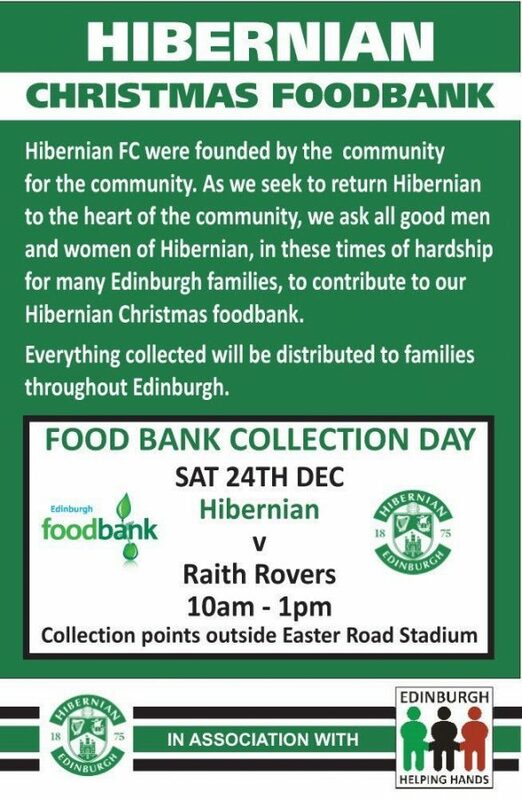 The collection will take place outside the football grounds from 10am to 1pm on Saturday 24th December 2016 before the match between Hibernian and Raith Rovers. 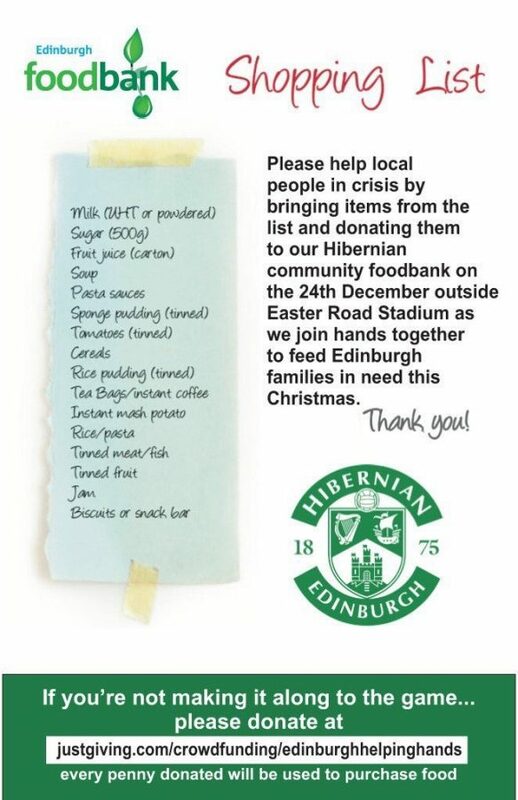 Easter Road will also be open on Christmas Day to help feed those in need. Kevin Finlay from the Kids In The Street project explained: “This all came about from a discussion with Jim Slaven and Brad Welsh where we had the idea of organising a foodbank back in 2014 at Easter Road as the club and it’s supporters have always been known for their great community spirit. “At short notice we were able to organise vans and volunteers and try to get the word out as much as possible. In that first year, with the generosity of people donating items to the collection, we had gathered 3 tonnes of food which were then delivered to Edinburgh’s foodbanks. 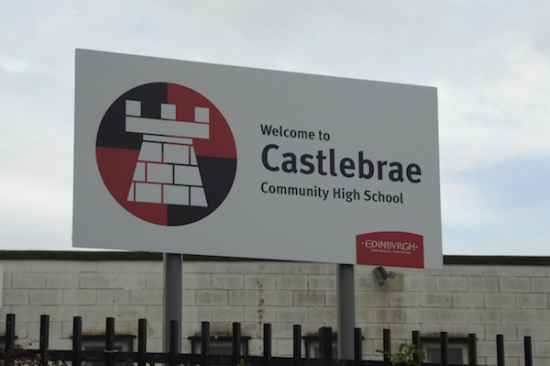 “When we delivered the donated items on that first year we were surprised to learn that the majority of food that had been collected that day would be handed out to families within the first week, the need was that great. 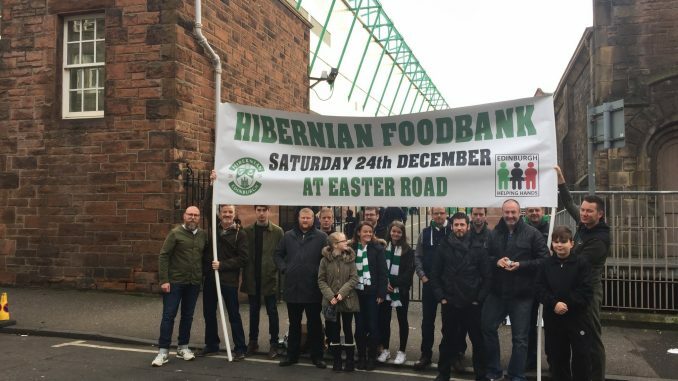 If you aren’t able to make the collection at Easter Road on the day, you can donate cash which will be used to buy food by visiting the JustGiving page here.